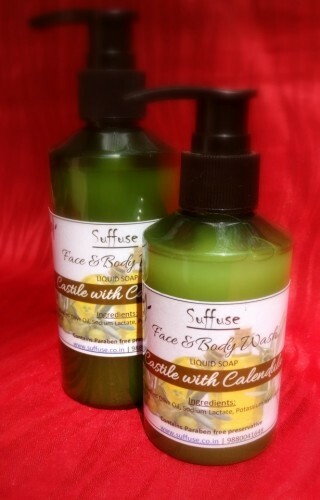 This luxurious face and body wash is a gentle soapy cleanser that is suitable for dry and sensitive skin. It cleans without leaving any residue or dryness on the skin. This mild soap has the aroma of natural calendula oil which helps relieve rashes, soothes dry and damaged skin. *Please do a patch test before using any skincare product.